Our family likes fun. A lot of it. And since we are only able to get together every once in a while, the fun compacts into a big, loud, clump of love that leaves me saddened by their departure. And with a bit of a hangover. My mother and her brother flew in to Los Angeles for the weekend to see their kids (my cousin and I) and to frolick about in the beautiful weather. We dined out, laid by the pool, cooked, shopped for new books and purses, engaged in hot sauce eating contests, and poked each other in the eyes. My mama came with me on a few work errands and we smothered each other in hugs and girly-ness. All in all, it was an entirely beautiful time. However, I must have downed a bit of tofu or butter somewhere in the mix. With the dietary limitations that I possess, I was in a bit of pain last night and this morning. Luckily, I’ve done my research and know how to get my stomach back to working order. The unfortunate thing about having food allergies is that when I am exposed to an ingredient that my digestive system doesn’t agree with, it’s difficult to properly digest and absorb nutrients for about a week after. If you suffer from a similar malady, it is important to try to get your insides back in working order as soon as possible. Because inflammation is a major cause of a whole host of diseases, I try to keep a few ingredients on hand that I know will soothe my stomach pain. Papaya – contains a digestive enzyme know as papain that is able to break down proteins into amino acids. To ease your overworked intestines, papaya also contains fiber which helps move things along. 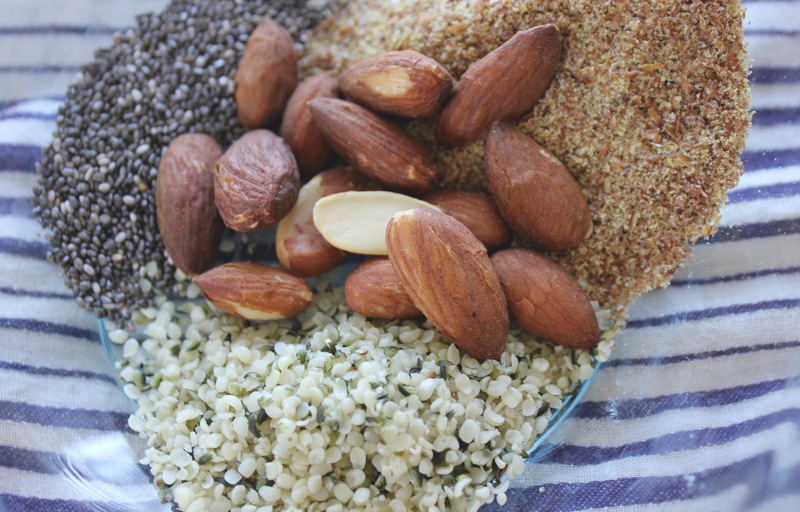 Flax & Chia Seeds – contain fiber, lignans, and healthy fats which all act as natural detoxifiers and are beneficial to your digestive tract. The fat that these seeds contain help coat your intestines to ease inflammation. Dandelion Greens – are a bit bitter so try cooking these up with other greens or blend in a smoothie. These greens are packed with liver-detoxifying enzymes which in turn aid your body in cleansing. They contain heaps of vitamin A and K, as well as antioxidants. Turmeric – has been used for a variety of medicinal purposes in India for centuries. It contains a compound known as curcumin that contains anti-inflammatory and anti-microbial properties and eases gastrointestinal pain. 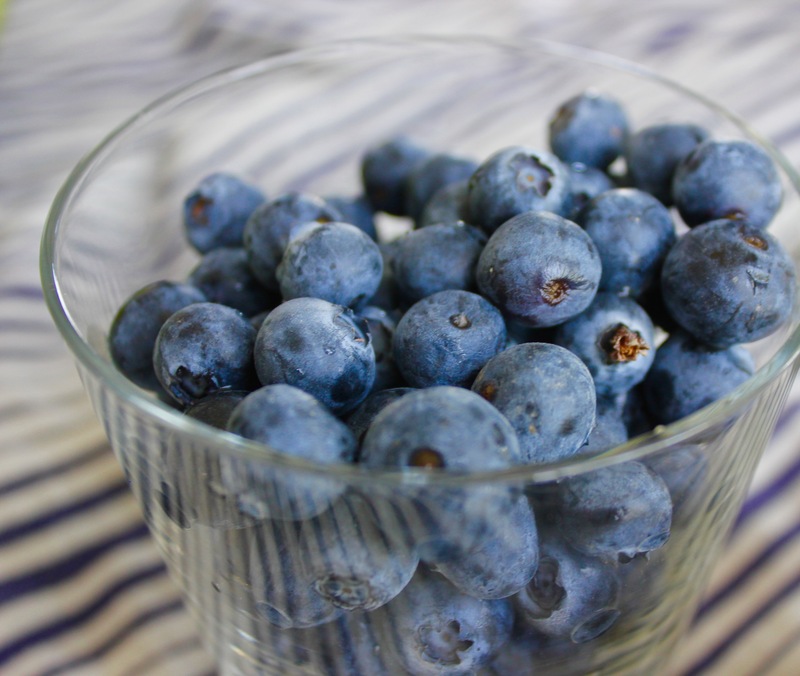 Blueberries – contain fiber and antioxidants. It is best to keep the fiber in berries intact though by adding them to smoothies after blending – let your teeth do the chomping! This recipe contains all of these ingredients and is great for breakfast or in the afternoon to wake yourself up. Because inflammation is an immune response, your body may feel overworked and tired as a result. And as hangovers tend to have the same symptoms, this recipe will work wonders a day after drinking as well. Go easy on yourself, drink some tea and relax to give your body some time to jump back. These ingredients will definitely help. 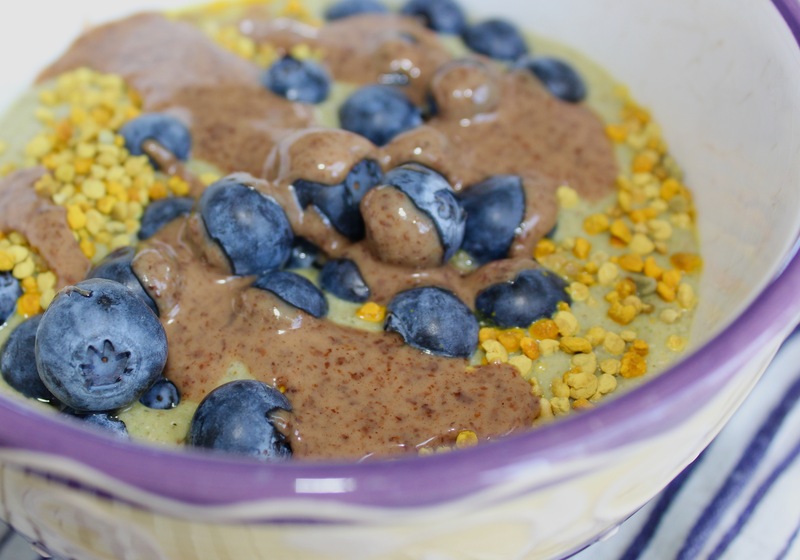 In a high-speed blender, combine all of the ingredients apart from the blueberries, almond butter, and bee pollen. Blend on high until thoroughly combined. To make a smoothie, add the other half cup of almond milk. For a bowl, stick to just one cup. Pour blended smoothie into a bowl and top with the remaining ingredients. Spoon and eat!